Linda Grimes Evans, 77, of Petal, went to her heavenly home Wednesday, September 12, 2018 to be with her Lord and Savior, Jesus Christ. Linda was born December 11, 1940 to the late Evan and Elizabeth Clark Grimes. 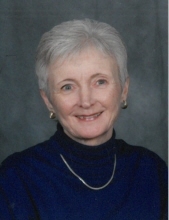 Linda was a devoted wife, mother, grandmother and great grandmother. She will be remembered for her many years of service. She taught Sunday School, was secretary for Wade Baptist, Honduras Baptist Medical and Dental Mission, and Christian Serivces. In addition to her parents, Linda was preceded in death by her son, Russ Evans; one sister, Ann Marie Letts; and one granddaughter, Chasity Johnson. She is survived by her loving husband of 59 years, Arba Evans; children, Greg (Carla) Evans of Petal and Kristy (Tommy) Johnson of Wade; six grandchildren, Tommy (Shanon) Johnson, Jr. of Oak Grove, Joshua (Shannon) Johnson of Wade, Andrew (Karoline) Johnson of Vancleave, Chelsey (Ryan) Holmes of Madison, Katie and Emily Evans of Petal and Michael Russ Evans, Jr. of Runnelstown; seven great grandchildren, Destinie Tatum, Carlie Parker, Pacey and Ceely Johnson, Mackenzie Duval, Andee Grace and Evan Johnson; one brother, Butch Grimes; and a host of nieces and nephews. The visitation will be Friday, September 14, 2018 from 10 a.m. – 11:30 a.m. at Moore Funeral Home in Petal with services immediately following at 11:30 a.m. Burial will be in Forrest Memorial Gardens. To send flowers or a remembrance gift to the family of Linda Grimes Evans, please visit our Tribute Store. "Email Address" would like to share the life celebration of Linda Grimes Evans. Click on the "link" to go to share a favorite memory or leave a condolence message for the family.